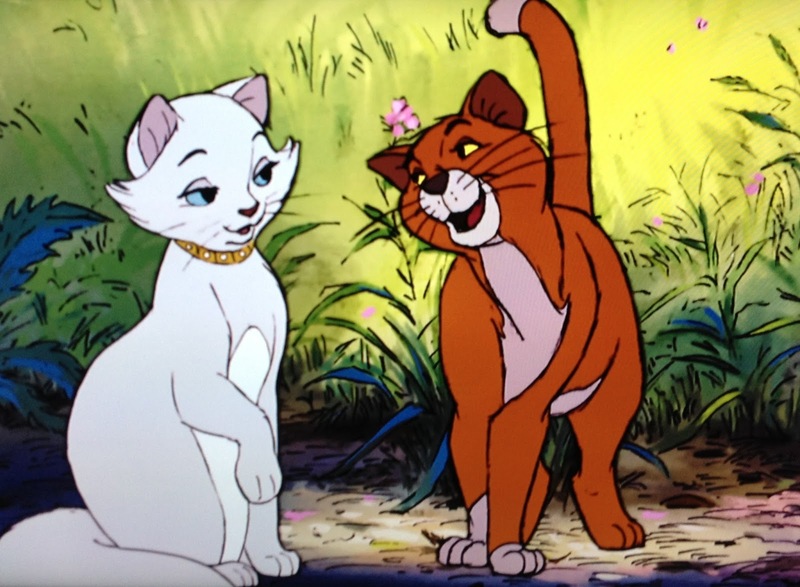 Buy Duchess' look: Dress, $167.99 ; Shoes, $85.74 ; Bag, $66 ; Bracelets, $7.80 ; Ring, $6.99 ; Earrings, $9.99. Buy O'Malley's look: Shirt, $19.99 ; Jeans , $18.99 ; Shoes, $85.74 ; Bag, $43.82 ; Belt, $15.74 ; Ring , $5.07 ; Beanie, $28.58. 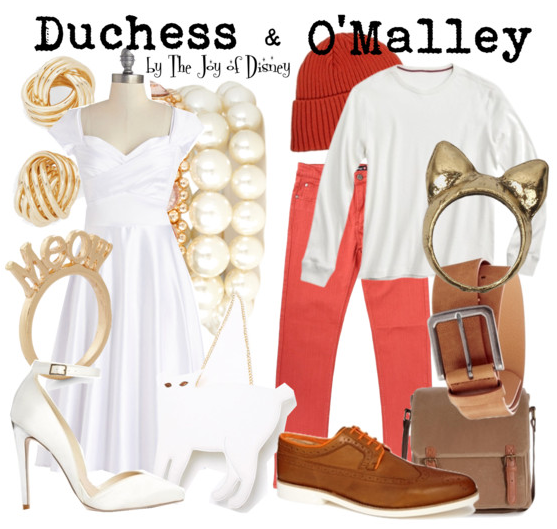 Couple outfits inspired by Duchess and O'Malley from the Aristocats!